Take a spooky stroll through Flagstaff on this guided, 1-hour haunted bike tour. Experience the darker side of Flagstaff and hear tales of the city's paranormal past as told by a local storyteller. 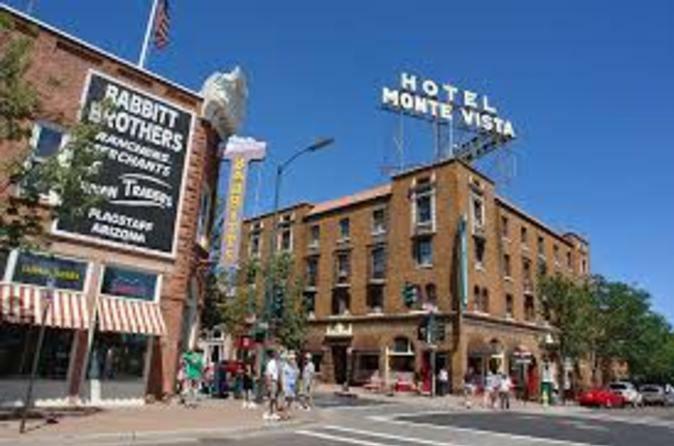 See the Weatherford Hotel, haunted by ghostly newlyweds of long ago; the Monte Vista Hotel, where a bellboy ghost is said to dwell; and the Flagstaff Historic Railway Station, where a brakeman was killed by a runaway train long ago — and is still seen throughout the building as a ghost today. It’s a fascinating, spine-tingling adventure.